The major thought behind this view is that you should always be honest with your children, and fictional characters are no exception. 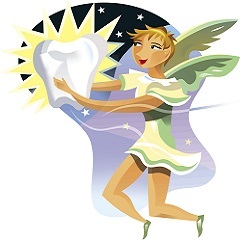 If you want to tell your children about the Tooth Fairy, treat it as any other fictional story and make your children aware that it’s fiction. Two main rationales in support of this view are that telling your children something that isn’t true could make them perceive you as less trustworthy and could lead them to form beliefs out of convenience, rather than having a concrete reason – a critique put forth by David Kyle Johnson, an associate professor of philosophy at King’s College in Wilkes-Barre, PA. The major thought behind this view is that children experience delight from the “surprise” aspect of tall tales, such as finding that the Tooth Fairy left a surprise under their pillow to replace a lost tooth. Some scientific studies show that introducing children to fictional characters may actually be beneficial. For example, according to research done by Marjorie Taylor, a psychologist at the University of Oregon, young children who frequently have fantasy in their lives have a superior comprehension of emotions, understand expectations better, and have a better grasp of how context affects perception. It’s up to each parent to decide what they believe is best for their child. What are your thoughts on this subject? What are your older children’s thoughts? Share them with us on our Facebook page.